I have only 5 sleeps before I am UK bound. 5 whole weeks with no work. Yes, I am getting quite excited at the prospect of no work and of course catching up with friends and family. And of course not to forget lots of eating! I have friends house sitting or maybe that should be cat sitting. 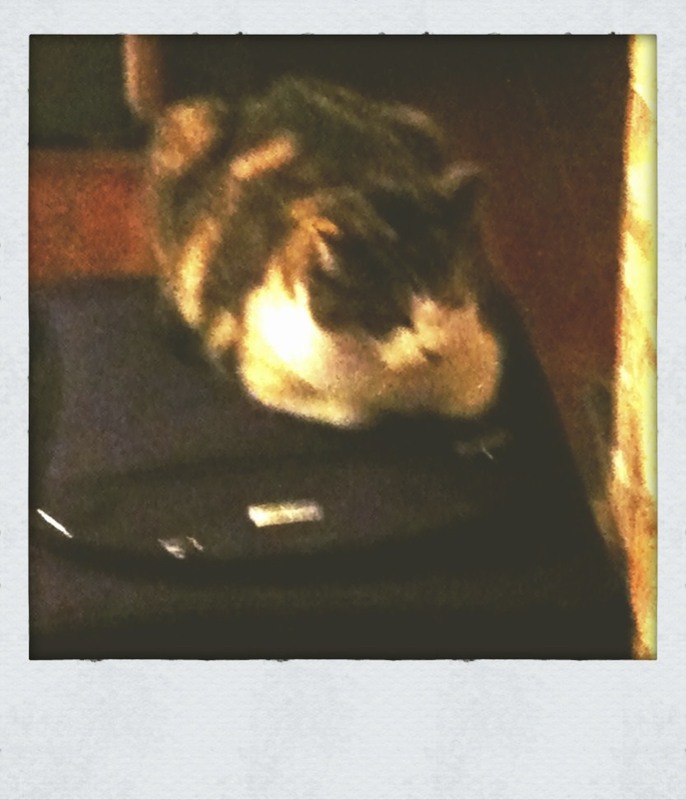 I don't have the heart to send the off to a cattery, no matter how luxurious. Though there will be the usual freaking out when the suitcase appears, or not so subtle hints that I shouldn't be going anywhere, or perhaps it is a hint they want to come too. So with my departure coming around so quickly it was time to get the house in order. 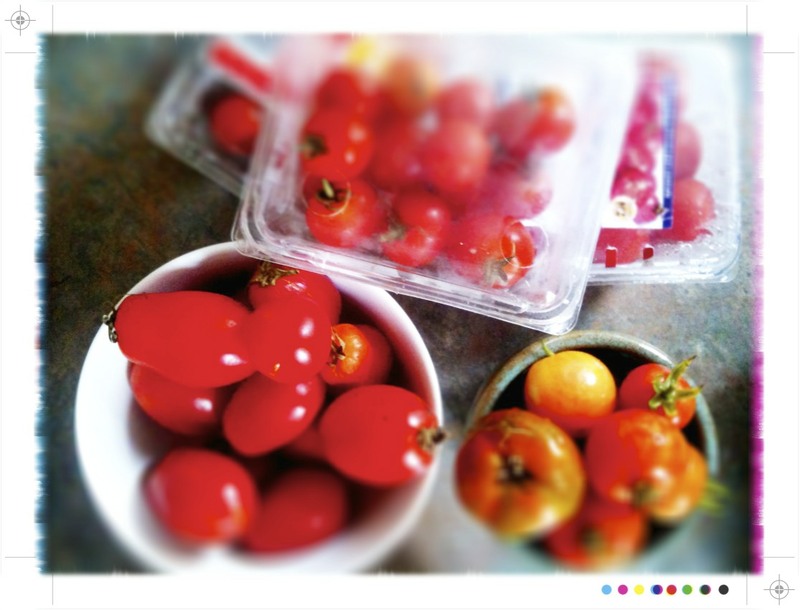 One task was to clean out the fridge and I seem to have been compulsively buying tomatoes for some unknown reason...3 containers of cherry tomatoes were found lurking in the depths. Plus I a bowl full of ripe roma tomatoes and I even managed to harvest a few from the garden. With a glut of tomatoes and a desire for some therapeutic chopping and dicing there was only one thing to do and that was to make a batch of marinara sauce. 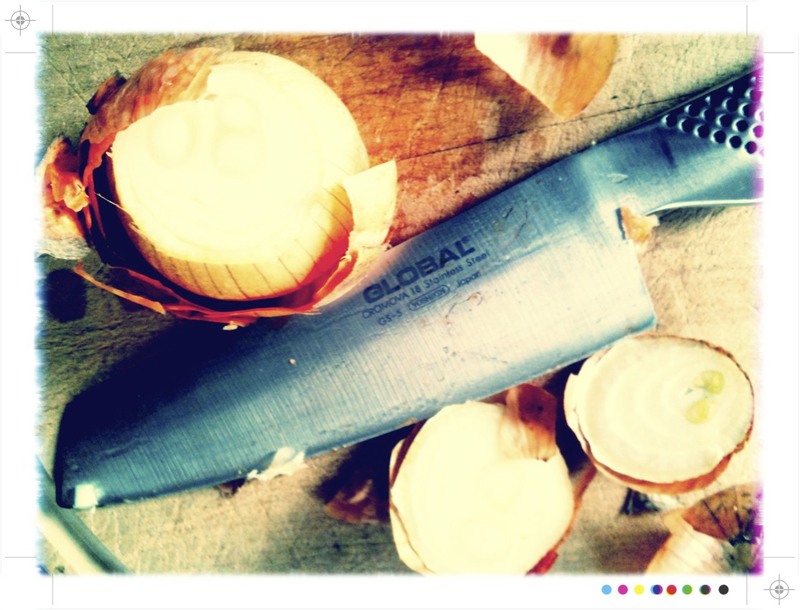 I find chopping and dicing quietly satisfying and it is always comforting to have pots bubbling away on the stove, aromas filling the house, a sign of good things to come. This versatile little sauce can be quite a saviour if stuck for something for dinner. You know those evenings when you get home from work late and just want to relax? You want dinner there and then rather than any great length of time spent over a hot stove. Well, this little sauce will come to your rescue and you can have fresh, delicious food fast. 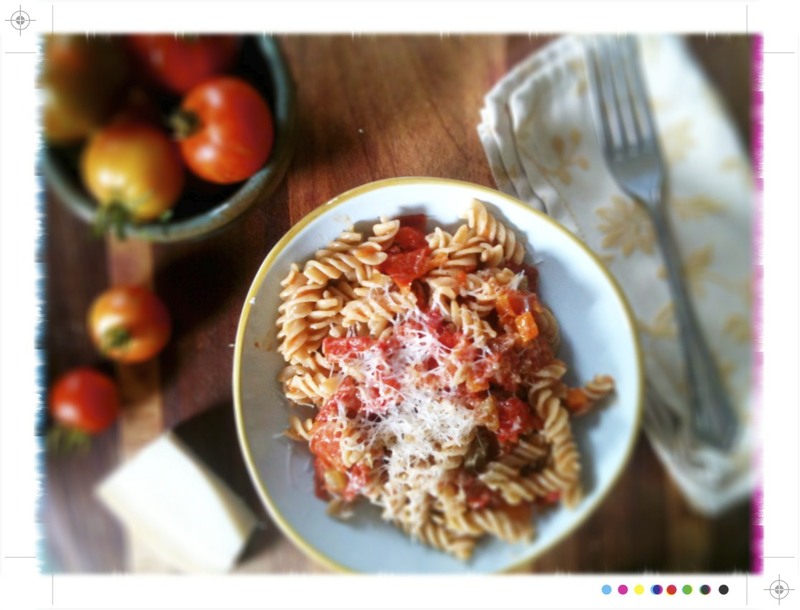 Individual portions from the freezer will defrost in a few minutes in a saucepan and then all you need is some pasta, a sprinkling of Parmesan and you have a speedy supper in under 15 minutes with minimal effort. 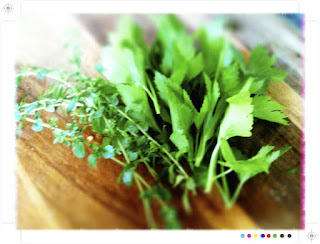 You can liven it up with a few fresh herbs, basil of course is a good friend of the tomato and parsley could also provide a little green freshness. If you like things a little spicier add a few chilli flakes or some chopped chorizo. It really is barely a recipe and quantities are approximate, so feel free to adjust to taste or to what you have on hand. 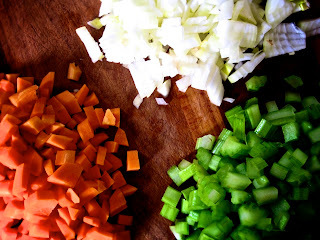 The soffritto - the holy trinity in Italian cooking of onions, carrots and celery - is the aromatic base for many sauces, soups and stews and is what delivers depth of flavour to this simple sauce. You could easily replace the oregano with basil or parsley and if you are a lover of a little heat you could add a few chilli flakes or fresh chillies to the mix. 1kg / 2lbs tomatoes, roughly chopped. 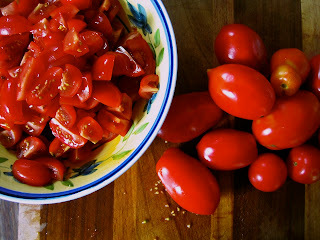 If you don't have fresh tomatoes you could replace the fresh tomatoes with 4 cans crushed tomatoes. 1 can crushed tomatoes or tomato pulp. 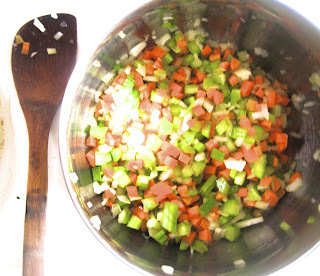 Warm the olive oil in a medium saucepan and add the onion, carrots and celery. Add a little pinch of salt and saute until translucent. After a few moments add the garlic. Once all softened add all the tomatoes and the oregano. Add a good pinch of salt and pepper. 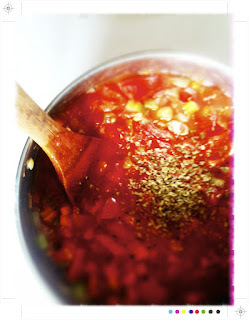 Bring to a simmer and let the sauce simmer away for 45 minutes to one hour. Taste to ensure it is well seasoned. Cook the pasta according the packet instructions, even a moment or two less to leave a little bite. 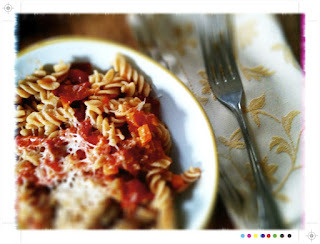 I used wholewheat fusilli as that was what was in the pantry, but any dried pasta would work...penne, macaroni, even spaghetti...though if using a spaghetti a very large bib is recommended, especially if wearing white! Stir the sauce through the pasta, sprinkle with a little (or a lot) Parmesan and dinner, as they say, is served. Satisfying on its own or with a fresh green salad. The onions, carrots and celery lend a depth of flavour to the sauce and the tomatoes become rich and sweet. The Parmesan tops it all off with a sharp tang. Haha, my cat totally does the whole hopping-into-suitcases thing when I'm packing for a trip. It's like they want to stop you from packing. Oh and well done for using up the contents of your fridge, I always seem to forget/run out of time and come home to a smelly, rotten mess! Not nice. They sure know what the suitcase means, mine do the same and i feel so guilty leaving them...they are good at making you feel bad. All the best for your 5 weeks of culinary travels and I look forward to the photos. I've never had a holiday for 5 weeks, and I am jealous! I bet you are having time dining out anywhere fancied in London by now. Have a great trip and have fun, Mairi. XO.